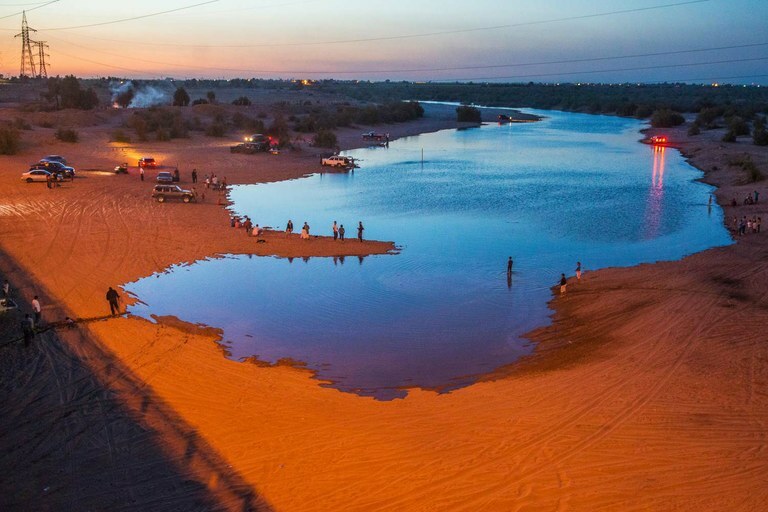 Though most of the water soaked through the parched riverbed to aquifers below, enough remained aboveground to allow the river to meet the gulf for the first time since the late 1990s. That reminded people throughout the basin of the Colorado’s importance — and how humans have altered it. The 2012 international agreement that made the flow possible and addressed other river-management issues expires at the end of 2017. Officials, however, are expected to sign a new pact in the coming weeks. That deal, called “Minute 323,” will extend and expand the previous agreement — and reduce the risk of a catastrophic water shortage that could leave fields and faucets dry. The Colorado River winds 1,450 miles through the U.S. and Mexico. It’s a crucial resource for both countries: Tens of millions of people rely on it for drinking water, and it irrigates millions of acres of farmland. It’s managed according to a complex web of laws, treaties and decisions, including a 1944 treaty specifying how much water the U.S. must send downstream to Mexico each year. The treaty, which left many details vague or unaddressed, has been updated by hundreds of smaller agreements, called “minutes,” since it was first signed. The Lower Basin states are still at least a few months away from taking that leap. While water agencies hope to have the drought contingency plan finished by mid-2018, obstacles abound, including conflicts between Arizona water managers and disagreements over the Salton Sea in California, which is fed by Colorado River water. Still, the conditional agreement from Mexico adds an extra incentive for finalizing the Lower Basin plan. After all, “(Mexico) wouldn’t owe any more than they do today if the Lower Basin fails to act,” says Chuck Cullom, the Colorado River programs manager at the Central Arizona Water Conservation District. That would leave the U.S. to face additional water shortages on its own. Perhaps the biggest win of the new agreement is that it bolsters transnational cooperation as urgency mounts in the face of climate change. In August, the Bureau of Reclamation announced that there’s “no chance” of water cutbacks in the Colorado River Basin in 2018. Yet the Colorado will continue to shrink in the coming decades. Minute 323 could help the basin meet that challenge.